Into the skinny, window-lined point of Melrose Market, one of Seattle’s finest chefs, Tamara Murphy, has tucked a more rustic, more casual, and more global chaser to her late, great Brasa. At wood tables or the warm triangular bar, a broad demographic of diners nibble off small plates of spot prawns in chimichurri or velvety charcuterie, or order among meat, seafood, or veggie plates—including more than a few of the classics (roast pig with clams and housemade chorizo) this pig-loving chef made famous at Brasa. 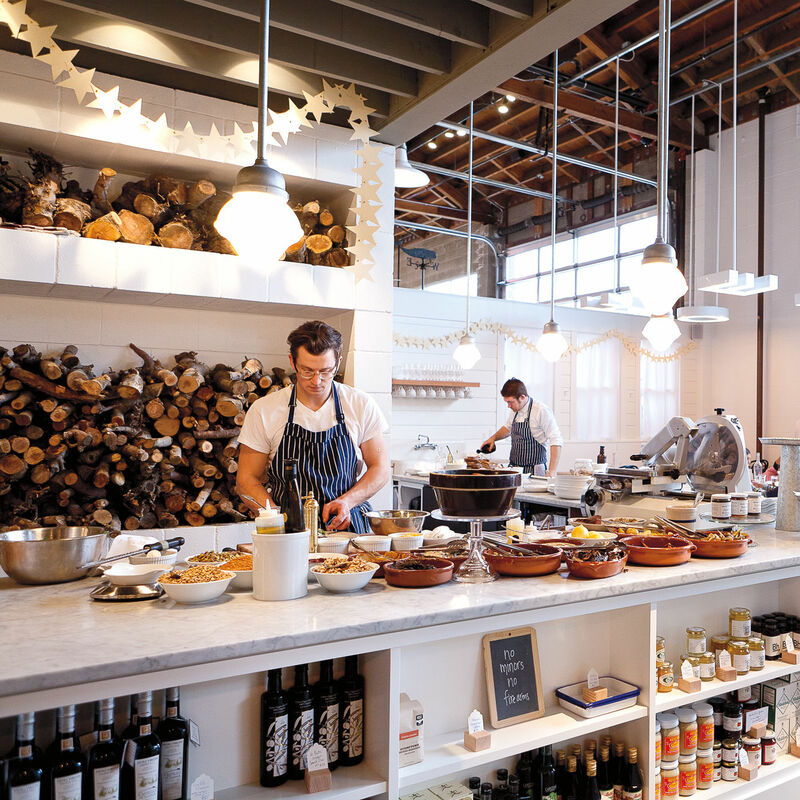 The space particularly shines by streaming daylight, which Murphy exploits with lunch and brunch service. Rooftop dining too. 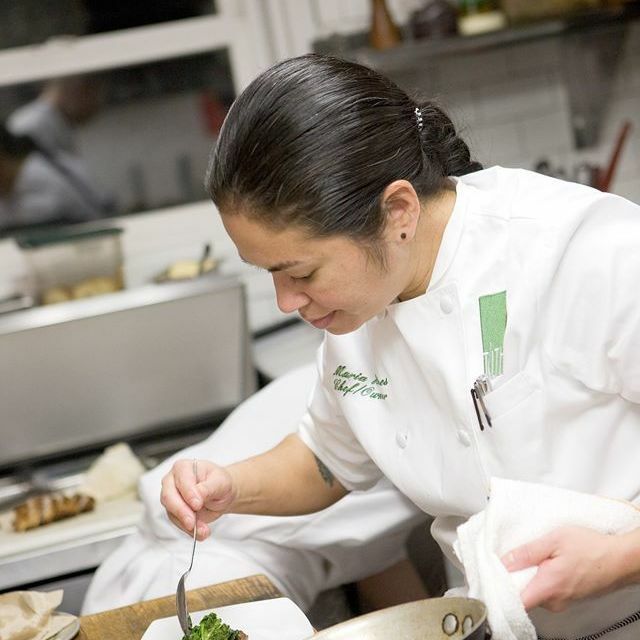 On May 6, 2019, the James Beard Foundation will announce the latest winners of America’s most prestigious culinary awards. 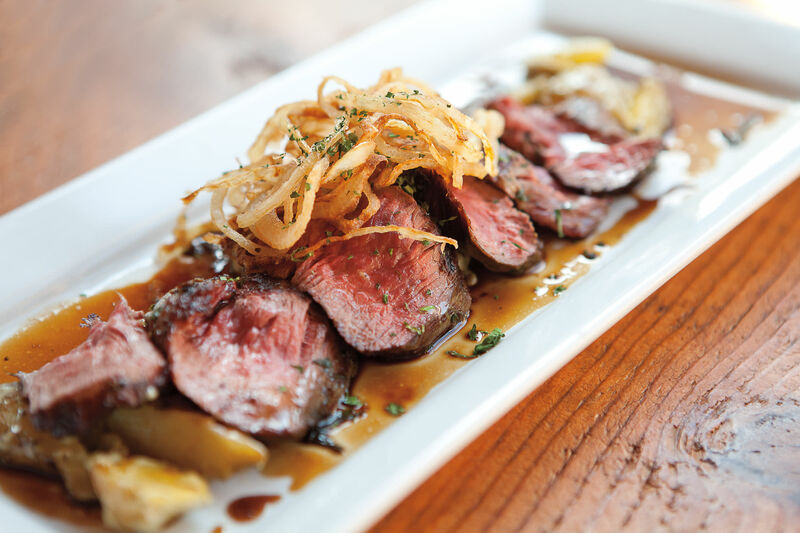 Until then, you can dine your way through our region’s past honorees. 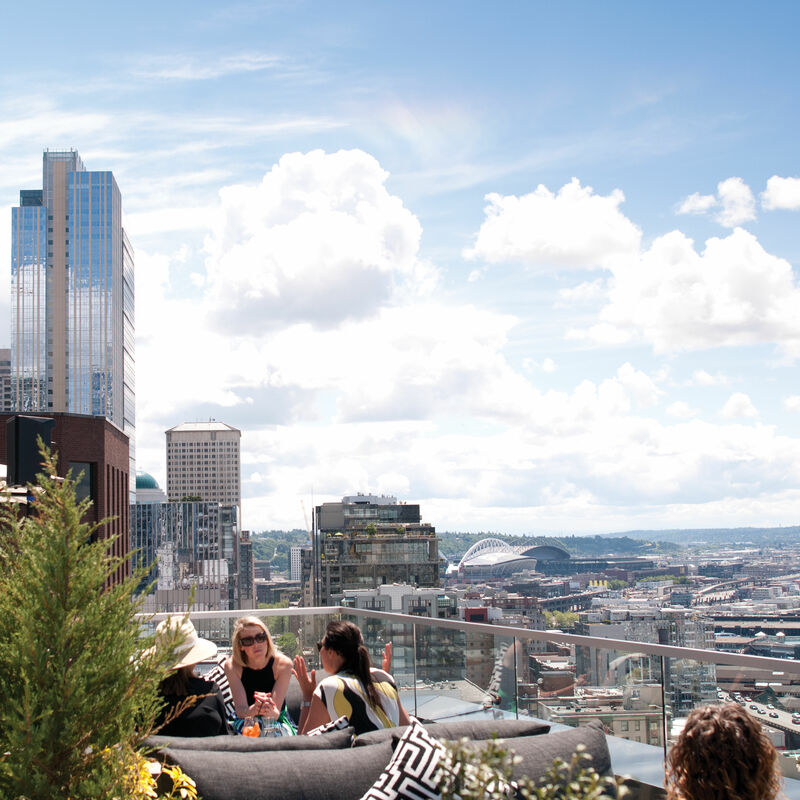 This time of year, the city’s best tables come bathed in sunlight. 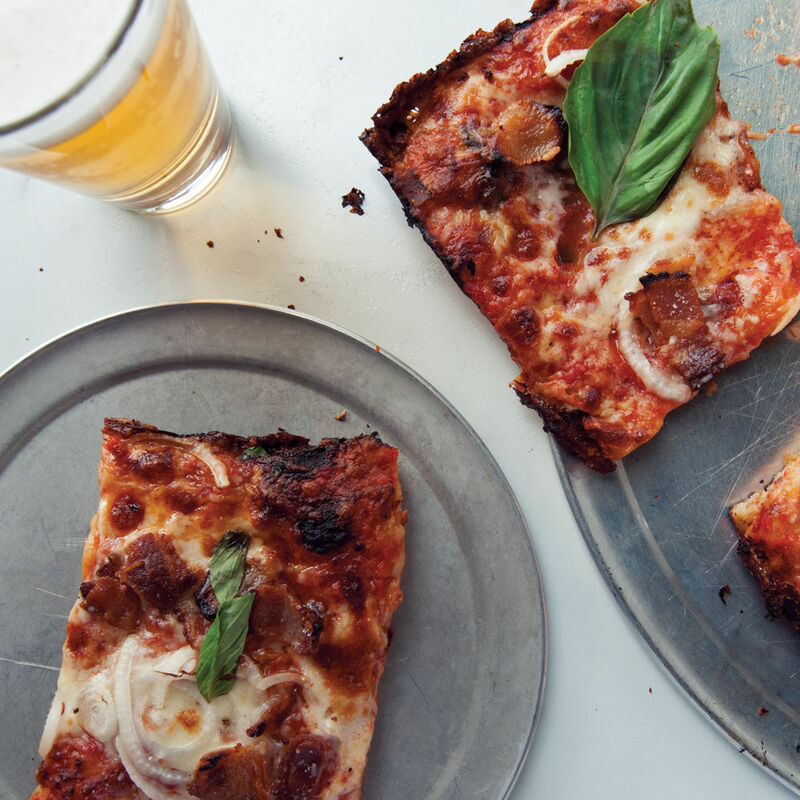 In one of the city’s most prolific dining neighborhoods there’s no shortage of excellent meals. 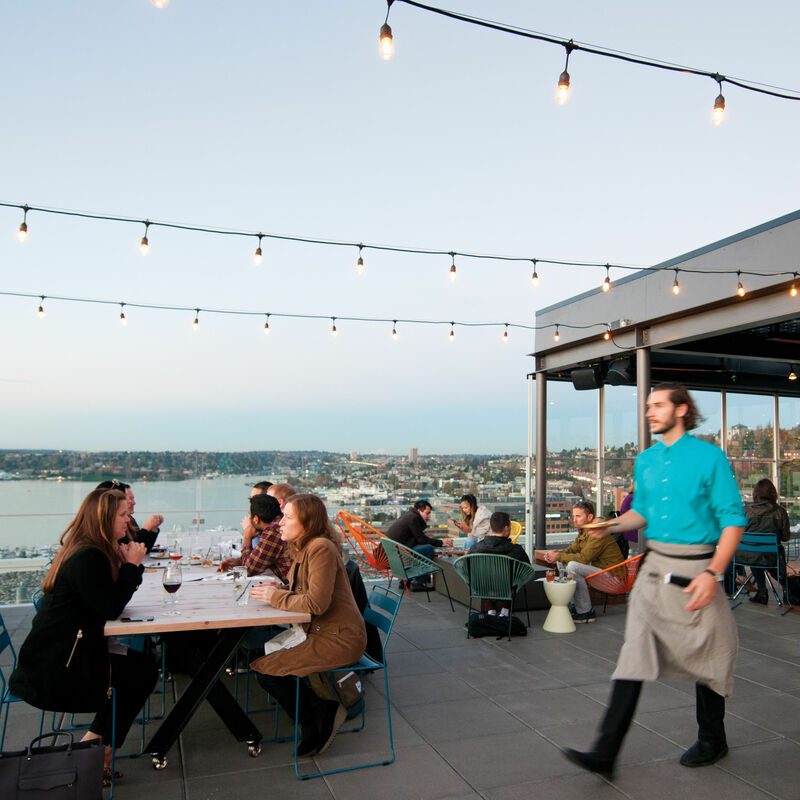 A few newcomers, both fancy and casual, join our Seattle patio hall of fame: These restaurants promise a superb meal in a destination-worthy outdoor setting. Are Women Better Chefs Than Men? Seattle chefs (bravely) address this question, right here.